No matter what size your budget is in 2017, I believe you must pay close attention to your online directories. When your patients, their families, or you search for your business an impressive number of listings pop up from Google Maps, Yelp, Yellow Pages, Superpages and much more. Can a visitor easily see what services we offer from that listing? Are there enough current photos to accurately portray our hospital or clinic? Another reason to show some love to your online directories is their exponential growth and relevance to search engines such as Google and Yelp. Over the past few months, we’ve seen Google Maps release subtle updates to their online directory including better advertising options and new notifications regarding your listing. Looking forward, these search giants will facilitate the continued growth we’ll see in online directories in 2017. Get on the ball this year, and treat these prevalent listings as if they are your own physical storefront. Bring the online searchers in through attentive photos. If you have questions, share them as comments. I’m happy to answer them. 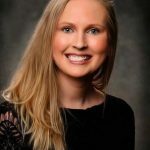 Cassi Price, manager of marketing strategy at VGM Forbin, is a member of the Mayo Clinic Social Media Network. How can I market best online while using a limited budget? On the topic of online reputation – did you notice that Vitals took away the platform for doctors or companies to manage their profiles? If I am missing something, please let me know! @sarahblanchard – I did not see that it had been taken away, but with this in mind, make sure you’re listed in many of the top online directories because, as you stated with Vitals, these directories change all the time. Also, different patients are comfortable with different platforms and may use any selection of platforms. Our solution to this issue was to create a service in-house that manages the content included in all the top online directories for consistency and brand recognition, and also receiving notifications on reviews submitted across all those directories so that we can get a response out right away. @cassiprice It completely does! 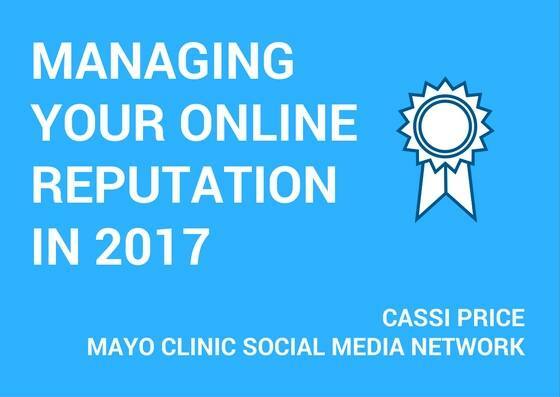 I currently am in charge of the Physicians in our central region (61 of them) for online reputation. I have accounts for their Google Plus pages, Healthgrades, and Yelp. @sarahblanchard – those are certainly the main online directories. I would make sure to include Bing as the second largest search engine and then make sure there is plenty of great keywords showing up in each of those 61 directories so that those physicians get noticed above all other physicians in the area in search results, and that you’re using up at least 3 pictures on there. @cassiprice That is great advice!! Can you give me an example of the keywords that you are putting on their profiles? For example, is it what you are tagging them as (ex. orthopedics, orthopedic surgeon)? I am now going to work on Bing this week. Also, I forgot to mention in my previous post that we use the company Empathiq to crawl the web for us. They email me every time a review is posted and I also have Google Alerts set up for everyone as well. 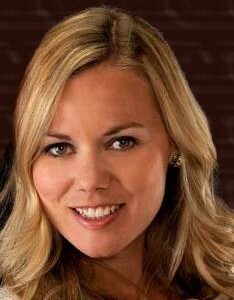 @sarahblanchard – I love the automated platform and notifications. No need to make more work for your day! The tags are very important, but you want keyword phrase consistency throughout the whole profile. The tags should be an indicator of what you put throughout the content of their profile. This will help them appear above the other orthopedic surgeons in the area.